Notes: The Collection drops from all new mission items. 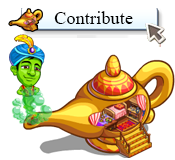 Water is contributed via the Genie Lamp. Wendy's Wish is a Free Gift.